The marriage you’ve been waiting for: the versatility of a cut-sheet platform meets the economics of an inkjet press. For years, “inkjet” made people think only of personal desktop printers or continuous feed, production presses. And those production inkjet systems required large investments and volumes to deliver the profitability businesses need. 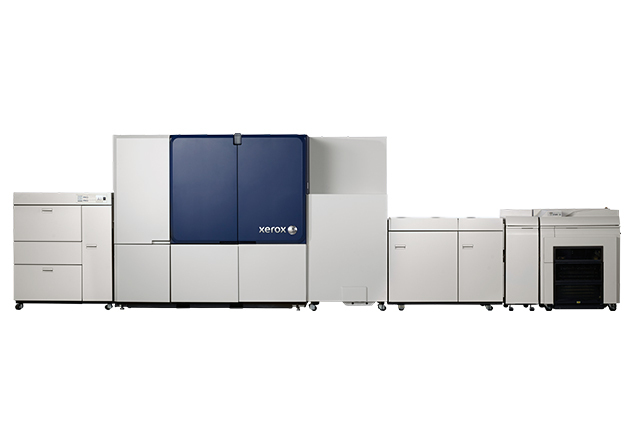 Now Xerox has engineered a system using proven technologies to combine the economics of inkjet printing with the flexibility of a high-speed cut-sheet digital press. Xerox® Brenva™ HD Production Inkjet Press is a perfect fit for your budget, the needs of your customers, and the future of your business. Each feature was designed to deliver on the promises of greater value, output quality, and workflow flexibility.